2 Bedroom Semi Detached Bungalow For Sale in Sheerness for Asking Price £180,000. 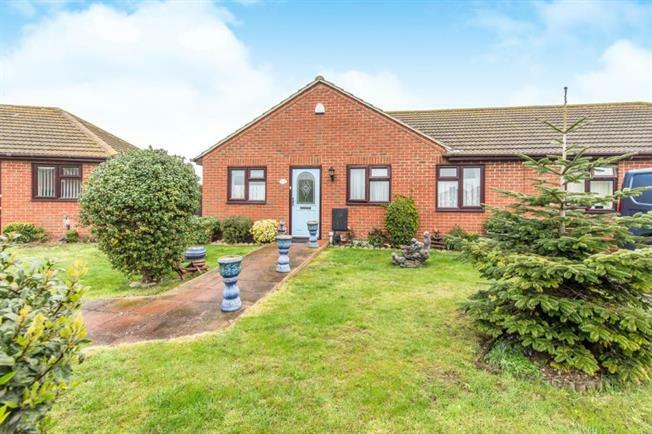 This immaculate 2 double bedroom freehold, 10 month occupancy bungalow is ideal for those looking to relax and unwind by the coast. Situated toward the rear of the gated Parklands Village this semi detached property benefits from a handsome frontage with parking for 2 cars and side gate access to the generous, secluded garden with shed and patio area. Internally the property benefits from entrance porch, good sized lounge area with French doors to the garden. Off the lounge is the kitchen with space for washing machine, dishwasher and/or dryer. There are also two peaceful double bedrooms and a shower room.